You might think artwork and graphic design is the most important aspect of your website redesign, but it’s more complicated than that. 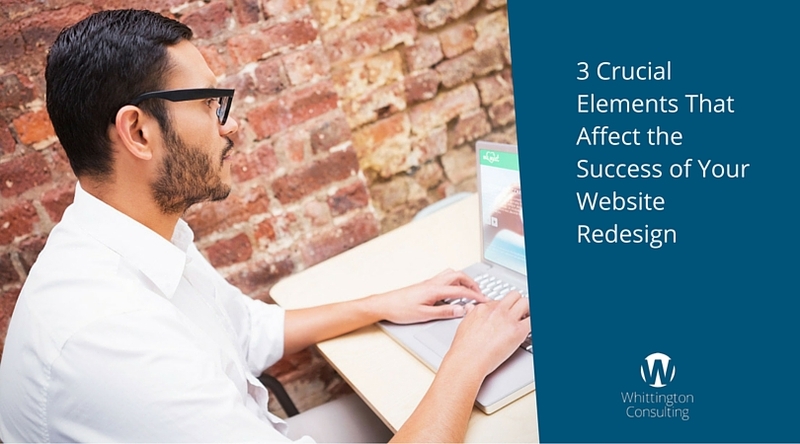 There are three things that you need to “nail,” and if you do, you’ll be on your way to turning your website into a sales engine. Define who your audience is, understand what they are looking for and state it plainly so they can easily understand it. Come up with a modern, uncluttered user interface that is easy to understand and navigate. Have legible fonts, a color scheme and photography that is relevant and appeals to your audience. Create a consistent layout with the important elements marked and clearly visible. Using colors that contrast the background of the site, so that the call to action buttons stand out. Making call to action graphics large enough to stand out and place them where they are clearly visible. Writing the words in your call to action in a straightforward way, thereby getting visitors to do the specific action you want them to. Keep it simple. Make it an easy process for visitors to carry out the action.